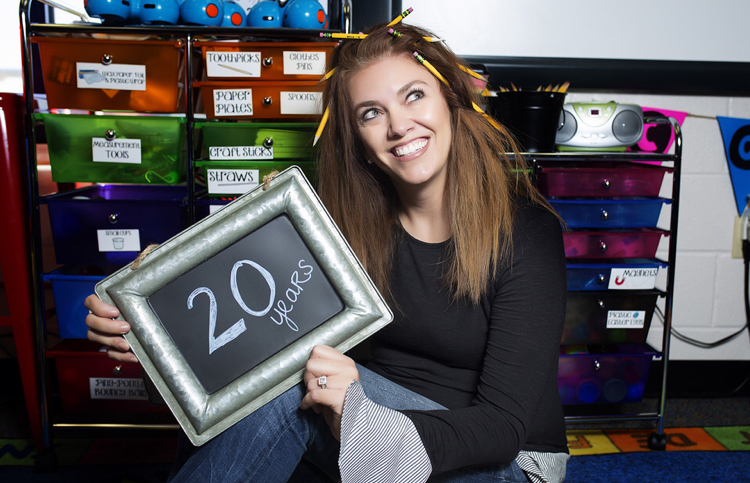 20 Things I’ve Learned in My 20 Years of Teaching! 20 Things I’ve learned in my 20 years of teaching!! 1. You can’t buy everything you want for your classroom! You will go broke, your kids won’t eat, and your husband will get really, really mad! So my solution has been to write grants. One of my favorites is Donorschoose.org. I’ve received LOTS of great resources from this non-profit site. Check it out! It’s easy, but don’t forget to write your thank you notes and take your pictures. 2. Ask~ASK! All people can say is no and that’s where you were to begin with. You’re not asking for stuff for you personally, your asking for your students. My husband always laughs at me whenever I start out by saying, “Hi, I’m Lisa Taylor and I teach 5th grade. I was wondering…” He knows what is coming next! I’m either asking for someone to visit my classroom to talk to my class or I’m wanting something for them! Remember you miss 100% of the shots you don’t take! 3. Build Relationships: This was something that took me a little time to understand the importance of. I didn’t come straight out of college knowing this was the most important thing I could do as a teacher! Get to know your students, parents, co-workers, ALL school team members on a personal level. It’s hard but make it a top priority. Start school with “Get to know you activities!” Send home parent surveys, make note cards on your students, find out their interest, but also find out who they are. I love the writing prompt, “What I want my teacher to know about me!” It is so powerful! 4. It’s NOT an EASY Job! Duh! Understatement of the year! But it’s the best. Whenever I hear the words, “It will make your job easier,” I’m always a little uneasy about what suggestion is coming next. This job takes a lot of hard work but there are times we can work smarter not harder! Having an easy job is not my main focus, my students are! Organization is the key: this doesn’t come natural to me, but I’ve found some ways that work. 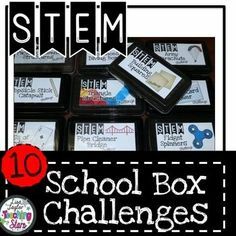 STEM tubs, with labels, this helps my students find materials and put materials back whenever they are finished. Clipboards: I have several for different purposes. One is for important papers that need my attention immediately (Before this I would lose papers that I needed to turn back in). Checkoff list: I have several sheets with my students names so I can checkoff whenever they turn papers in. I also have a basket on my desk, where all notes from parents go. This helps to not lose picture or field trip money. I also have a turn in papers basket at the back of my classroom. Whenever students finish their work they know exactly where to turn in their papers! 5. Be flexible: Which has been hard for me! I’m a creature of habit. My Christmas trees are in the same spots. I don’t move my furniture much, because I usually just move it back. So my first reaction to change is usually, “NO!” I back up like a cow in a squeeze shoot (sorry for my farm girl analogy). I have to sleep on it. Then I start thinking it over, reading about it and envisioning it in my classroom. REALLY thinking about it! I know this has been very frustrating to my administrators and teammates over the years, but they know me and are very patient with me. This job is full of change, and I would have to admit I would have missed out on some truly great things if I didn’t learn how to embrace change. I’m still a work in progress on this, but I know it’s important!! 6. Bring extra lunches of field trips: I really hate being hungry whenever someone forgets theirs! 7. Read Books: How will you recommend books to your students if you don’t know kid books? Become an expert on picking the right book for the right student!! Read and they will read too! Be excited about the books!!! It will rub off. 8. Keep Learning: Always keep current! Read and research! Know why you are doing the things in your classroom. 10. Good teaching is GOOD TEACHING! 11. 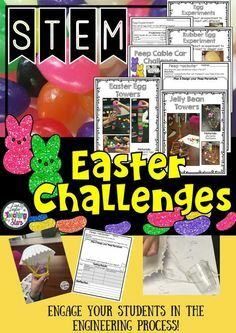 Make learning fun: You make the lessons, add some fun into them. It’s ok for our students to enjoy learning. It makes them engaged in the material, which then makes them learn more. Make Memories: What do you want your students to remember about you! 14. Learn to breath: One of the best things I have done!! 15. Learn to Laugh at Yourself (because they will laugh at you!). Sing and dance! Be funny!! It’s a long day if you don’t throw some excitement into it!! 16. Always be prepared for the unexpected and the unexpected happens daily!! Roll with it! Schedules will change, things will come up. If you get upset about everything that comes up that you haven’t planned for, you will be upset a lot! 17. Create a classroom that promotes learning: Make it a classroom you would have wanted to be in! Make it a place that inspires your students to learn and be creative. 18. Be transparent: It’s ok to let your students see you fail. If I don’t know something, I tell them I don’t know. I’m not the Giver of Knowledge in my classroom. We all learn together and it’s always ok not to know. It’s never ok, not to try!!! 19. Be positive: Even if you have to fake it!! Remember your on stage, not all days will you feel the best. You will have to paint on smiles somedays, do it!! 20. Teaching is the best job in the world!!! What else would I want to be doing besides teaching and creating teacher resources?~ NOTHING! (at least until summer, when I can go to the beach) Enjoy everyday, because we truly do make a difference!! We are preparing the future. I totally learn this whenever I went into the dentist and learned that my dentist had been in one of my friend’s class. I thought, “I sure hope he knows what he is doing?” Well it’s up to us, to make sure our students become productive citizens! We are an extremely important job. So go and have fun, 20 years passes by quick! !